The former APAC head of DNV GL’s solar consultancy has fired a departing shot before leaving to take on a new posting – continued investment will likely remain dependent on clear and stable public policy settings. With the Coalition Federal government seemingly intent on stumbling towards undermining investment in Australia’s electricity generation sector, Moore’s observation is a timely warning of the fragility of the market segment’s recent expansion. Most worryingly, the recent wave of investment attracted to Australia for PV power plant projects may dissipate, if the current post-2020 policy vacuum remains in place. 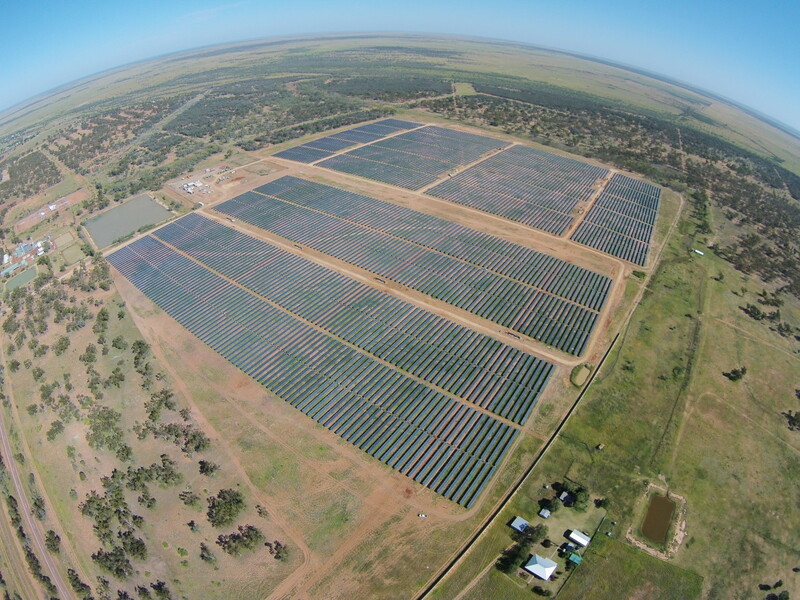 pv magazine: How would you describe the growth of the Australian PV market over the last three years? Jackson Moore: What Australia has lacked is the regulatory environment to promote growth of utility scale solar. When I arrived in Australia three years ago, it was under a very uncertain regulatory framework. The RET review was still taking place and there wasn’t a lot of interest in the suppliers of the equipment to make the investment in the service infrastructure and support networks in Australia. Also, there wasn’t a lot of outside investment interest looking at Australia. Over the last three years, the growth has been incredible. We are dealing with a lot of non-Australia based equity investors and lenders who are looking to support the market. A lot of the challenges are the same as those in most markets: Is the regulatory market going to stay? There is a bit of runway out to 2020, but then a lot of questions as to what happens after that. So that is driving a lot of concern. People are cautiously optimistic about where things are going. But it still comes back to the quality of the product and whether we are ensuring that the product quality is high enough for the 25-30 year lifetime that a lot of developers are looking for. With no RET beyond 2020 and no federal policy seeming likely at least for this government’s term, how interesting are supply deals like bilateral PPAs – or potentially trading part of the project’s output on the wholesale market. Is that possible? We’ve seen mixed interest with this. We’ve seen a couple of projects that have been financed with a bit of merchant risk, either at the front or back end. There seems to be mixed interest from the equity investors that we’re working with. Some are not interested in any merchant risk at all in Australia, while others are open to it and are happy to take on some of the risk, if they are going to be paid for it. There seems to be some willingness on the equity side to support this. There is some interest on the lender side. Some of the initial projects did have some federal grant money, through the ARENA grant funding, which mitigated some of the risk. And some of them are hedged a bit by having a partial merchant and a partial PPA. So, I would say that it is moving in that direction, and that these are baby steps towards a market where there is some merchant activity and that they could be financed down the road. If there is no Clean Energy Target, or another mechanism post 2020, that does appear to be the way new PV power plant projects will have to financed, would you say? It could be. A lot of it depends on the policy and who is going to manage the next government. You mention power plant quality, in terms of viability as a long-term asset. Component and installation quality has been an issue in the Australian marketplace, particularly in the state-based FIT driven rooftop days. It appears that a lot of corners were cut and the certification process was perhaps not as robust as it should have been. What is the approach that you take to quality aspects in the large-scale space in Australia? It is definitely maturing. In fact, I think there is a lot less risk at the utility scale market – a lot of the developers active in Australia are coming from other already mature markets, whether that be Europe, or North America, so a lot of the best practices in those markets are being brought to Australia. I would say that where there are quality issues is on the residential and C&I side of things – because it is a very fragmented market. There are literally hundreds of solar installers that are installing projects on residential and C&I rooftops and so each of those installers is responsible to qualifying the project, modules, inverters and in some cases trackers, that they are using in these projects. And most of those don’t have access to the same type of tools that the utility scale developers do. That is why the Australian Solar Council runs a program called the Positive Quality program. We promote quite heavily the testing that we do in our labs – the Module Reliability Scorecard that we offer. These are tools that we have brought out into the market, and for free, so that these installers can at least have one tool that they can add to their kit by way of qualification, so they can begin to mitigate some of that risk. And is there really interest from the market in terms of taking up some of these services? Some of the installers will use the DNV GL report with their customers, as a way to say that our products have been independently tested. This is because it has been a way for them to differentiate themselves from others. So, would you say that things are moving in the right direction? We do think so yes. But we always think that there could be more. There can always be done more on the inverter side, to demonstrate the performance of inverters compared to others. We think we have a great program with the module testing, and that is not only within our company but within the industry. But the inverter is the least reliable component in the system, and where we are going to spend the most amount of our time dealing with failures, and repairs during the life of a project. And this is somewhere where we see labs like ours have something to contribute to the market to help people make smarter decisions. This is particularly important when you start pushing projects lifetimes beyond 25 years, which is what we are beginning to see now.